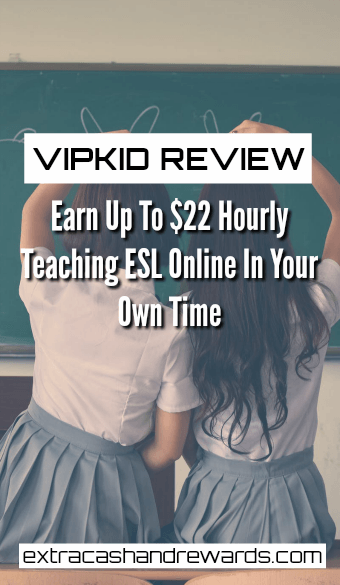 VIPKID is a China-based ESL (English Second Language) tutoring company that many people with bachelor's degrees from around the world earn extra money (and in some cases a full-time income) work for. This company is hugely popular, and it was recently listed in Forbes' Top 100 Companies With Remote Work. In today's VIPKID review, we'll be talking about who can apply here, what the time commitment looks like, and of course VIPKID salary. As stated above, you will be teaching the English language. Your students will be school-aged (ages 4-12) and from China. The tutoring sessions are done via webcam, so you'll be seen and heard by the students you are teaching. These are one-on-one classes — you will not at any point be teaching a group of children. Each class you teach is at least 25 minutes long, but they can sometimes run longer than that. The company will provide you with the teaching materials you need for each class. It will not be up to you to come up with lessons. However, you may need to take some of your own (unpaid) time to review the materials before the classes. Yes, VIPKID is absolutely a legitimate opportunity to earn extra cash or work from home. They have been around for quite a few years now, and people are working and getting paid. I've done a lot of research into this company and have seen multiple accounts of people getting paid. And not only is it a paying opportunity, it's actually something that may be worth your time as well, provided you meet the requirements. The website states that you can earn between $14 and $22 hourly for your tutoring time. And a quick glance at Glassdoor indicates that this is not exaggerated. Most teachers do claim to be earning within this range. VIPKID pays monthly via direct deposit, and you can expect your earnings to arrive between the 10th and 15th of the month. You work for the company as an independent contractor, not an employee. This means that figuring out how much you owe in taxes is your responsibility. They won't take it out of your pay. You can work for VIPKID from anywhere in the world as long as you have high-speed internet. As I briefly mentioned above, they do require a bachelor's degree before they will hire you. The bachelor's degree does appear to be the only major requirement. As long as you have that, you should be able to apply and see what happens. There are some tech requirements as well. You need either a desktop or laptop with high-speed internet, Mac, or Surface device with an HD external or an HD integrated camera, and a headset and microphone. The main thing that makes this such a great side-earner is that it is flexible. So if you have another job, it's possible that you could work this around at as either a second job or just something to make extra. Even though your schedule is flexible here, they do want to know your availability a month in advance. They will set your teaching schedule for you based on the hours you say you will be available to work. If you schedule yourself to work during Beijing peak times, you will have a higher probability of staying booked up by students. The more you are booked up, the more you will earn. VIPKID reviews are mostly great. They have an impressive 4.3 rating on Glassdoor. The workers love the flexibility, the good pay, and of course the students they teach. A downside most people mention in relation to this job are the teaching hours — peak times in Beijing are not during normal working hours in the US. Sometimes you may find yourself having to work very late at night or early in the morning in order to make the most money. As I briefly touched on above, many teachers don't like that they have to spend unpaid teaching prep time prior to each class. If you have a bachelor's degree, and you want to earn money as a tutor for VIPKID, go here to start the application process. Good luck to you, and please comment below if you have some feedback of your own you'd like to share about the company.